Our little dancers will be exposed to the elementary vocabulary of ballet. All steps taught with correct body placement to avoid future bad habits. The curriculum focuses on musicality and coordination. 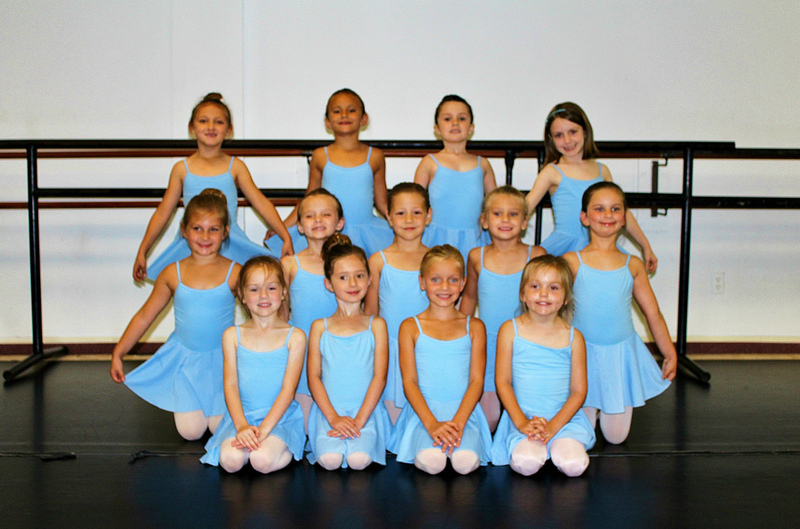 Introduction to tap and tumbling will add for a well-rounded class of learning and FUN! In Level 1 dancers will begin their journey into correct ballet technique. Emphasis will be placed on the discipline of ballet and it's importance for success. They will enjoy jazz-hip hop technique and choreography making for a fun and productive class! Level 2 continues their journey while learning new steps with an emphasis always placed on their technique. They must work towards perfecting each step before moving on to the next. Jazz-Hip Hop technique is taught to popular music and is a time to "let loose" and have FUN! This age is very important time in a dancer's life. The dancers are very aware of their own bodies as well as other dancers. Positive reinforcement is vital in their studio and home life. They are now ready for a true complete ballet class. This is quite a leap from their previous classes and the class lengthens by 30 minutes. Jazz-Hip Hop will raise in difficulty but remain a time for hard working fun! The Professional Track is a program divided into two levels, Level A and Level B. It is a requirement each year to audition for these levels. It was established in 1995 by Artistic Director Allison Norton for dancers who wish to take ballet seriously. These dancers already know the discipline ballet technique requires and are well on their way to success. Whether pursuing a professional career or enjoying the benefits ballet offers both mentally and physically, as well as stage experience (an experience of it's own), preparing these dancers for life. When a dancer reaches our highest level (Level A) their technique will be so ingrained in their bodies, their muscle memory will have been established for life.